One of the areas that we have not adapted to using Social Media is in our job search, beyond Linkedin of course. I think this is primarily because some of the cool tools out there are not as mainstream and popular. Again this is because there are so many new platforms out there that its hard to keep up, but there are some really cool platforms that will add a new spin to your hunt for that next consult or employment opportunity. New technologies and social media used in this very tough job market could allow you to stand apart from the brutal competition that we are all going up against to gain the next consulting or job opportunity. What better way to do that than to add a few cool social elements to your job search. Traditional resumes are great and the have really served the purpose for many years, they still do but there are are a few options available that can be used as a compliment to a traditional resume. Zerply: Is an online resume format that allows you to create a wonderful display of your employment accomplishments for all to see in a beautiful and easy to use online format. Vizualizeme: Is still in Beta so you will have to request an invite. This format is also an online resume format and it allows you to create and infographic styled resume. You can customize the look and totally make it your own. Re.Vu: Is another online format that I really love. I just created an online resume using this format and it is a bit of a combination of all of the above AND it creates a QR Code for your online resume. You can then add the QR code to your business cards, traditional resume and all other marketing materials. You can also go one step further by adding a social element to your email. After all an email is the first thing that will be noticed when you send your resume. So why not add a few social elements to that as well. Wisestamp: Allows you to create a simple email signature with all of your social media platforms. BrandMyMail: Is amazing! I just started using it and it allows you add video, blog posts, an email signature and more to your email. Good Luck! 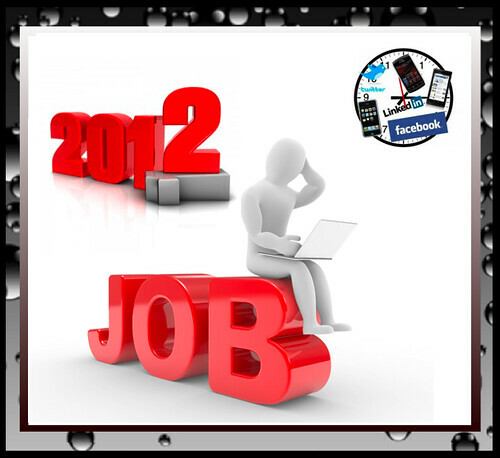 Happy consulting & job hunting in 2012! Thank you so much! This economy is so bad that anything that can be done to stand out a bit from the pack is a plus!